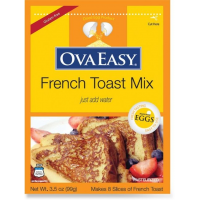 Ovaeasy Bulk Food French Toast Mix ova0007. Just because you're camping doesn't mean you have to forgo good meals. 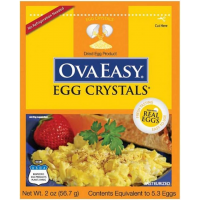 With the all-natural, great-tasting OvaEasy Whole Egg crystals you can whip up an omelet or scramble to start your day off right.